Gothic-style set of 45 characters can be interlocked to form a single strip. Includes a complete alphabet, numbers 0 through 9, an ampersand, a comma, an apostrophe, a period, two spacers and three end pieces. Create reusable stencils for marking shipments, signs, or posters. 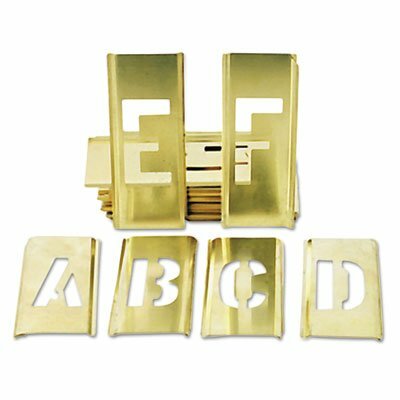 Color(s): Brass; Material(s): Brass; Length: 6 3/4"; Width: 4 1/4".